Do you love to dance or choreograph? Do you want to perform on an international stage? Look no further. In just two days’ time, applications will close for The Signatures Showcase 2019. Serendipity has teamed up with Dance4 to place this showcase, based in Leicester, on an international stage, hosting artists from all corners of the world. The showcase which was founded in 2010, was designed not only as a showcase of international dance but as a means of supporting emerging artists, giving them a world stage on their rise to the top. 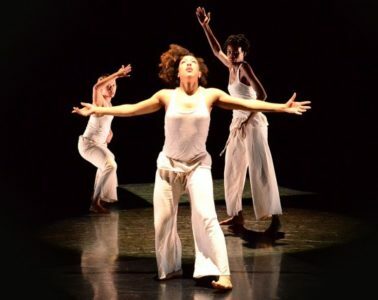 Signatures 2018 successfully elevated the works of individuals such as Ofelia Balogun and Misato Shimizu, who have just been named as the selected artists for Let’s Dance International Frontiers 2019. Receiving applications just shy of three figures, Signatures and Autograph have supported the careers of emerging of 73 artists. Successful artists will showcase a 15-minute performance of their choice at the Curve, Leicester on the 2 May. Serendipity encourages artists to submit both finished pieces as well as performances in development. After all, Signatures is about making your mark in the industry! “A fantastic opportunity for emerging dancers and choreographers to develop new work, receive feedback and showcase their work to an international audience. As well as being a selected artist, dancers will receive audience feedback as well as networking opportunities with industry professionals. Successful applicants will also receive a performance fee of £300 and travel contributions. Whether it be African or contemporary, whether you’re 18 or 80, able or otherwise, if you want to showcase your talent to an international audience, you know where to sign. Provide a biography or CV that highlights their experience and capacity to create a quality piecework for the public, and demonstrates a record of accomplishment, producing quality work, which is innovative, diverse and challenging. Submit a video of the potential work they would like to create. Please upload the video onto Vimeo or Youtube. The selection panel would like to see a video of the potential work in progress and advise applicants to produce a video, which captures a ‘single take’ of the current piece, ideally in a studio setting. Provide some background information about the potential work. Give the name, alongside information regarding the motivation behind the work, an estimation of the length and technical requirements of the piece. Contact Information. Including telephone number, email address, full postal address, links to social media (Twitter, Facebook, Instagram), a link to your website (if applicable), and video links to previous work.